We all know statement walls can transform any room. 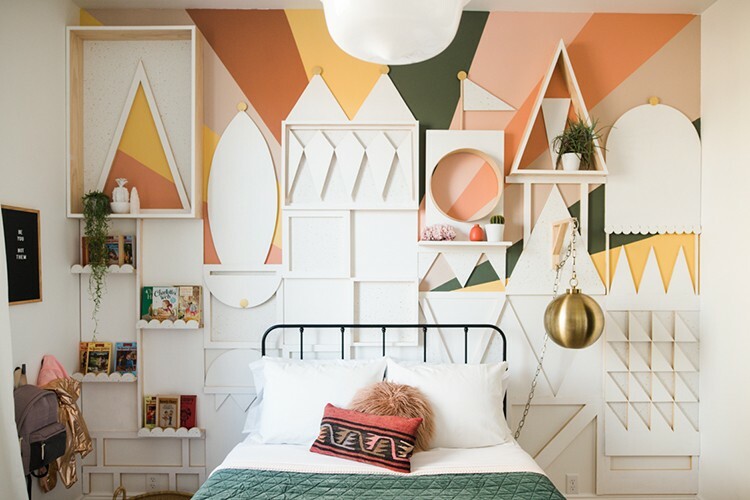 Mandi Gubler, of Vintage Revivals, shares her tips for mixing wallpaper, wood and paint to create a one-of-a-kind design. 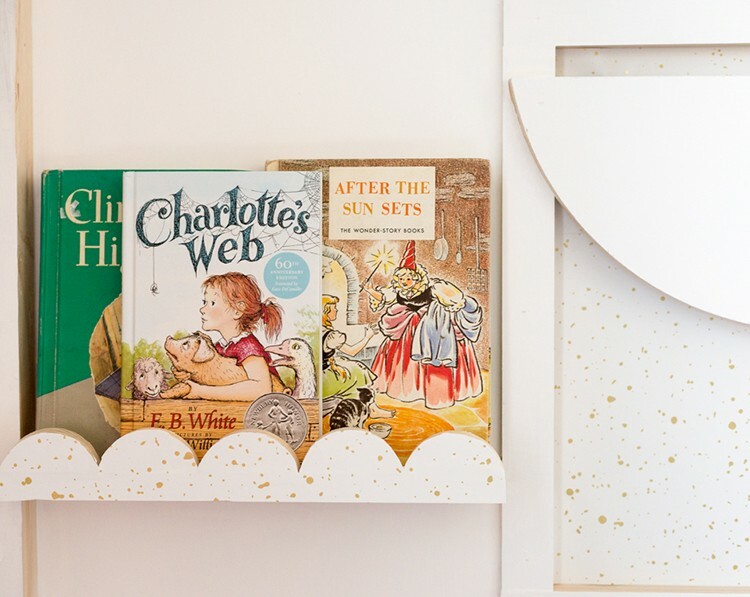 Keep reading to learn more about this unique custom statement wall! 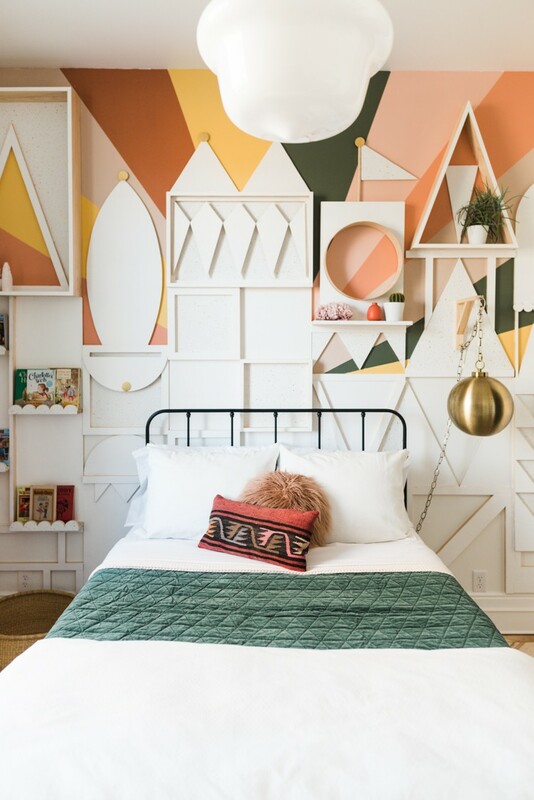 I’m a huge fan of statement walls, they’re kind of my love language (if I love you, you get a statement wall…Oprah style.) 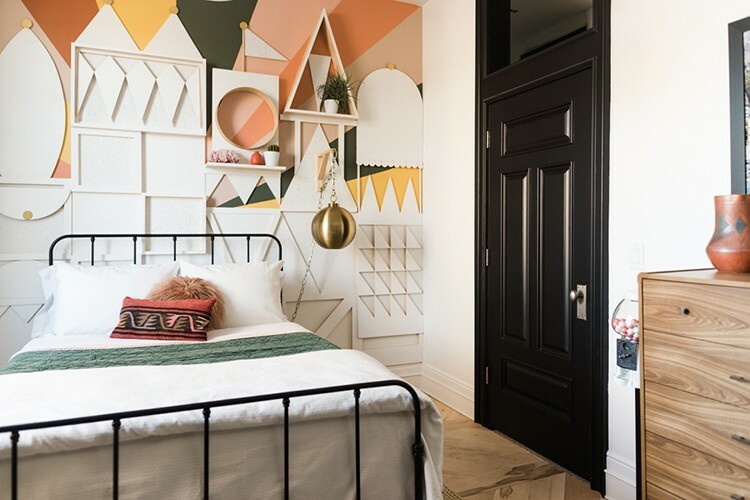 When you’re embracing the statement wall, paint is usually the go-to medium, it’s easy to use, you can always cover it up if your results fall short of your glorious vision, and it’s inexpensive. But guys, I’m about to change your mind a little, because wallpaper is here and its here to stay. 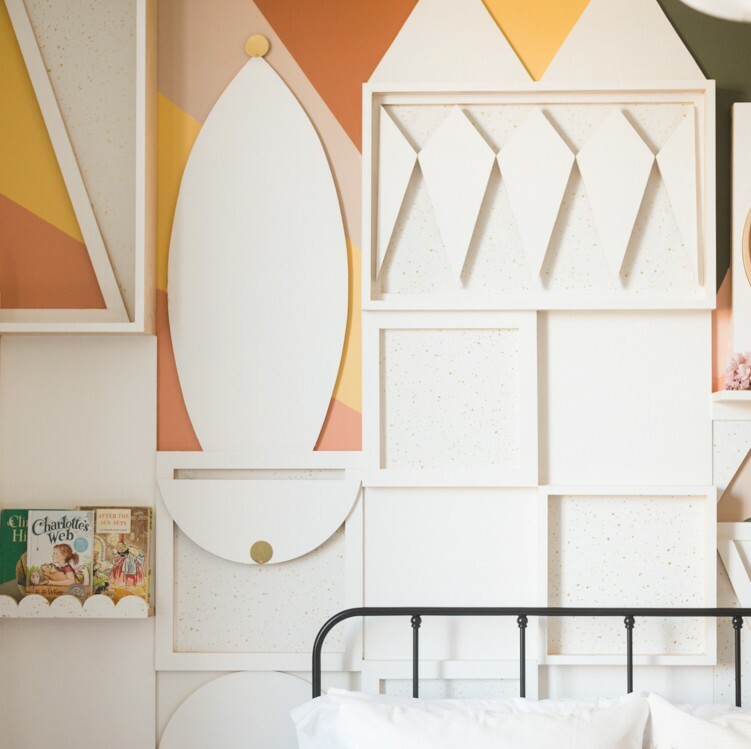 The inspiration behind my daughter’s room is Disney’s It’s a Small World (specifically the one at Disneyland cause I just can’t quit that white and gold exterior.) For four years I’ve been itching to do this room and I’m so happy to finally see the vision come to life! For this statement wall, I used some paint, wood, and wallpaper to create the design. Mixing wallpaper with other materials and patterns is easy, you just need the right kind. 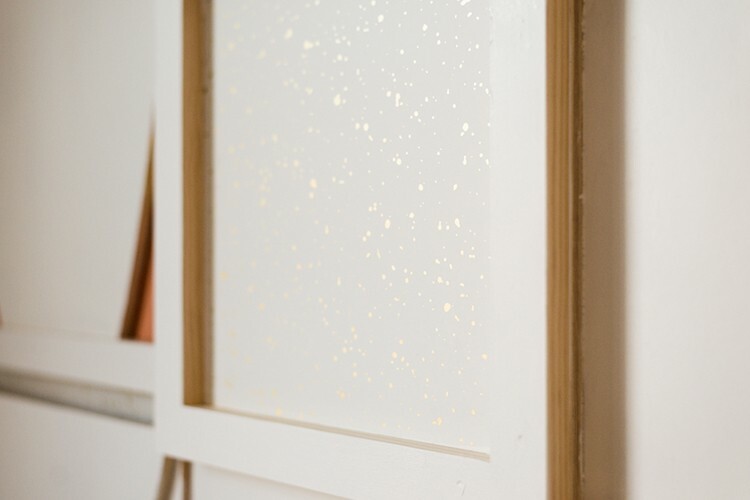 I painted the buildings white and then filled some in with this gold speckled removable wallpaper. I’m loving how reflective this wallpaper is! HomeDepot.com has a huge wallpaper selection. It was really hard for me to narrow it down because I wanted to use all of them! Ultimately I went with the Splatter pattern from Bobby Berk because it reminded me of the texture that is on the exterior from Disney’s It’s a Small World. I am so happy with how it turned out! Here’s what you need to know about wallpaper on HomeDepot.com. First and most importantly the patterns that they have available are killer. 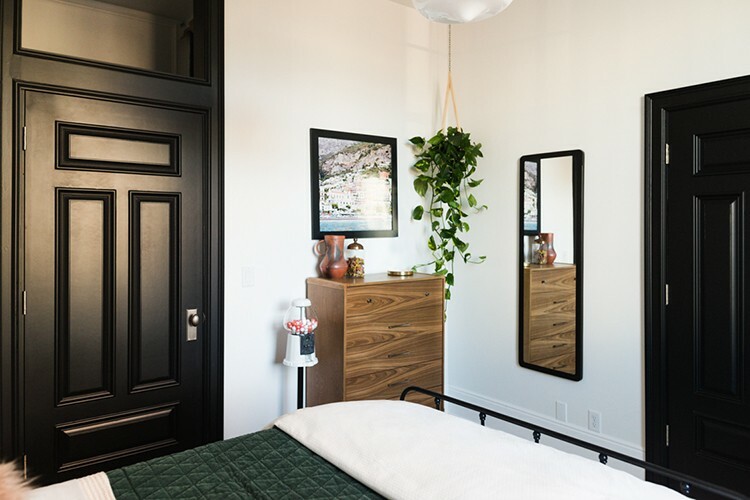 They’re extremely on trend and have designers like Bobby Berk, Genevive Gorder, and a little lady by the name of Joanna Gaines. You may have heard of her. Temporary wallpaper is the best of both worlds. You get the bold and statement-making patterns that can only come from wallpaper, and it’s extremely easy to remove, damage free, from your walls. It’s also great for novice wallpaper DIYers because it’s re-positionable. Mixing materials is just one way to use wallpaper, you can also mix different wallpaper patterns! Unless you have a way to physically separate the wallpapers from each other, use natural space divisions as your guide. For example, use one type of paper on the walls in a bedroom and a second pattern in a closet. Or use one in your entryway and another in your living room, as long as the walls aren’t connected, you’re good! Find papers that have a similar vibe. 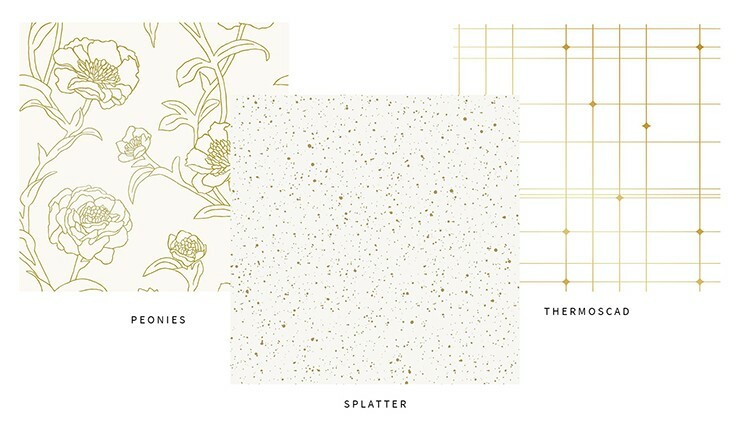 The peonies, splatter and thermoscad wallpaper patterns are all white and gold and will work together perfectly. Wallpaper can be a little intimidating if you’ve never used it before. If you’re interested in dipping your toes in the water, try using it in smaller space like a half bath. Don’t be afraid to go bold. One of the reasons that wallpaper is so magical is because it makes a massive statement. This is why using removable paper is so great because you’re not married to it forever! I love something bold like this Shatter geometric print. Or colorful like this mustard yellow geo print! To get more info on Vintage Revivals room makeover and all of the furniture details (yes, they’re all from Home Depot!) check out Vintage Revivals here! 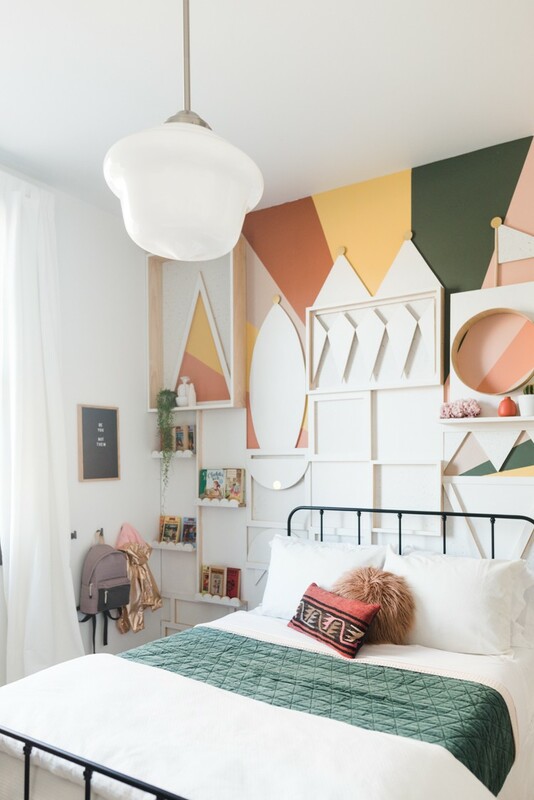 Find more bedroom inspiration on The Home Depot Blog. 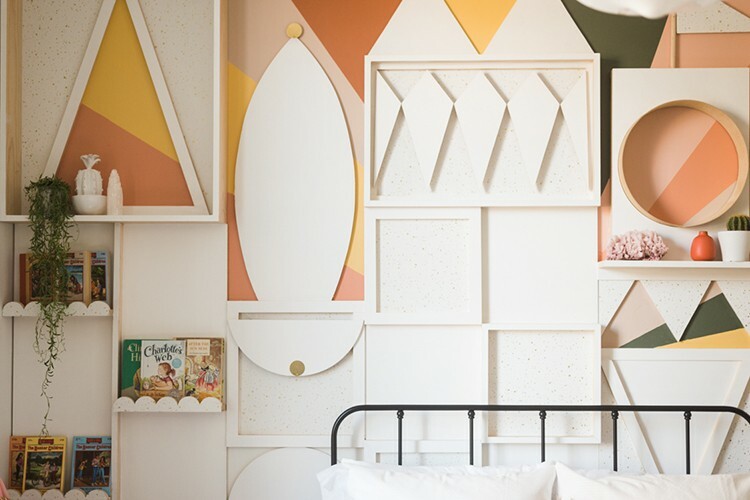 The post Create a Custom Statement Wall appeared first on The Home Depot Blog.